On the 30th June we, Julie-Ann Harper and her amazing team and I, published Joshua and Stranger Danger on our projected release date. The book is now going out to all book stores; both online and traditional. The project to publish this book has been a twelve month labour of love, which had me tearing my hair out at times. It is incredible the number, and depth of the learning curves I had to undertake to achieve this goal. Both the soft cover and hard cover are listed in the Advance Catalogue of Ingram Spark where it is available to 39,000 outlets. Ingram Spark prints most of the Print On Demand books for online book stores, which is why they don’t need to hold an inventory. The book is printed as the orders come in from them, and sent to the customer. Both books are on the list provided to book stores of new releases from Thorpe Bowker who provided the ISBN numbers. All books, world wide, have an ISBN if they are available for public sale. They are also listed with Nielsen Title Editor , a British Firm providing updated information to book stores world wide. Hopefully, I have covered all my bases and the books will be visible to all the right people; in all the right places! 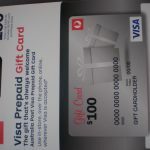 A book has also been deposited with the National Library of Australia in Canberra and this is called a Legal Deposit. It is necessary when a book is published in hard copy, for it to be archived in the National Library as part of maintaining the country’s heritage. If I never do another thing in my life, I now have a part of me held in trust in the National Library of Australia as part of Australia’s heritage! 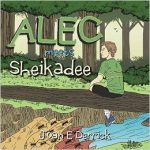 The book is now available in a soft cover version for a recommended retail price of $14,99 and a hardcover version for a recommended retail price of $23.99. These prices are necessary as the book stores purchase their copies for 50% of the RRP, and after the publishing cost there is not much left for the author. I am making the books available on my book store for a reduced price of $12.99 for the soft cover version and $19.99 for the hardcover version, as I believe this is the price the online book stores will charge. I checked with Fishpond.com the Online book store here in Australia. They have listed the books as a New Release with a price of $22.42 for the soft cover and $37.30 for the hard cover. Amazon.com has it is listed for $12.99 for the soft cover with 5 supposedly used book which have apparently been bought by book stores who are selling through Amazon; and $19.99 for the hard cover with 5 supposed second hand books with prices from $16.60 to $19.98 plus delivery costs. The world of commerce never fails to amaze me! Please visit my Book Store which is now open. 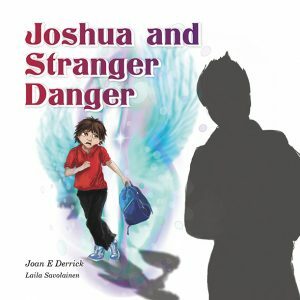 To purchase your copy of Joshua and Stranger Danger, please click on Book Store .